Blueberry Media is organizing an event that is contrived at providing fun and anatmosphere of relaxation for young professionals and business executives. The event which is tagged FIRE OF LAFTA with Obaro Tiblaze, will be a combination of comedy, music and stage act. It will feature top comedians in the country along with top musical artistes and actors. 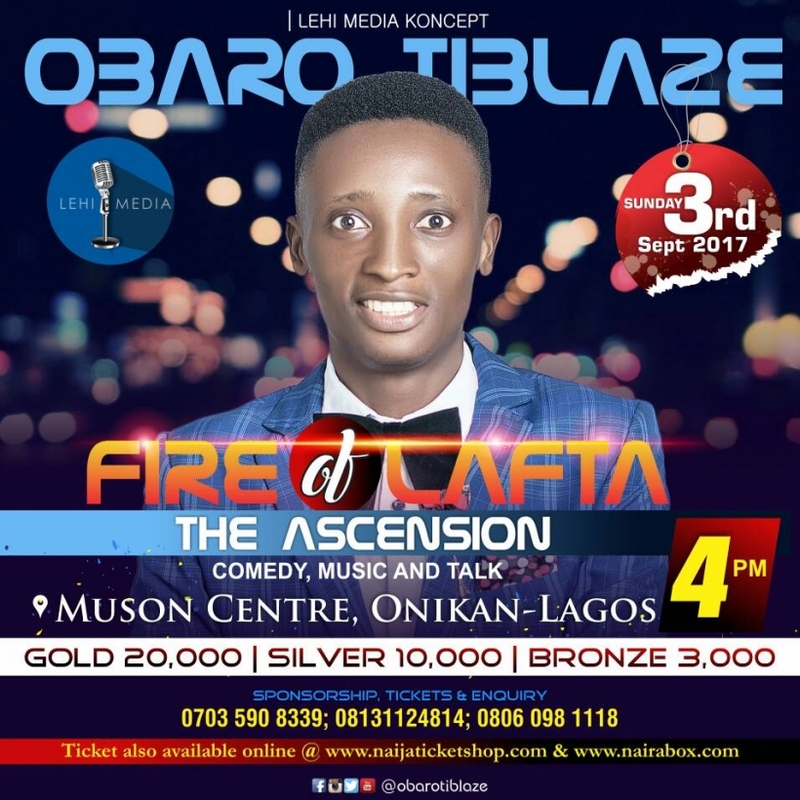 We held the first edition of FIRE OF LAFTA with Tiblaze in November 2015, while the second edition took place in September 2016 at the prestigious Sheraton Hotel, Ikeja, Lagos both with great success. The 2017edition promises to be even better with the combined clouts of top comedians and musicians like GORDONS, ACAPELLA, SEYI LAW, AKPORORO, DE DON, IGOS, KOFFI, KENNY BLAQ, SACO, PATORANKING, HARRYSONG, KOKER and SOLIDSTAR. The2017 edition is scheduled to hold on the 3rd of September 2017, from 4pm to 11pm at the prestigious MUSON CENTRE, Onikan Lagos.